Showing results for tags 'Lady Bird Lake'. Austin Carp Angler is almost at 100 likes on Facbook! To commemorate this milestone, we would like to offer a mini-beginners tournament with ACA for anyone who has never fished for carp, but would like to. When we hit 100 likes, we will post on our Facebook page. The first 3 people to comment requesting entry will get come out to Lady Bird Lake to fish and compete with Austin Carp Angler! We will bring all the gear and bait; all you have to do is bring yourselves. Anglers will be split into 3 teams, pairing each with an ACA angler. Whoever catches the most will leave with some carp gear to get you started in catching some carp of your own! If you know anyone who has never fished for carp, but they would like to, send them our way. 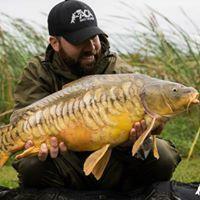 Our goal is to show anglers who are interested in carp, how to fish and care for them properly. Winner will receive a carp rod, bait runner reel, bank stick, bite alarm, unhooking mat, and landing net! "Like" us on Facebook!